I don’t know where I’ve been this month. Working, I suppose, and Christmas shopping, and in the past few weeks a number of family gatherings on all sides of our families. There was also a fair amount of knitting, so in lieu of anything else to write about I’ll chronicle it here. 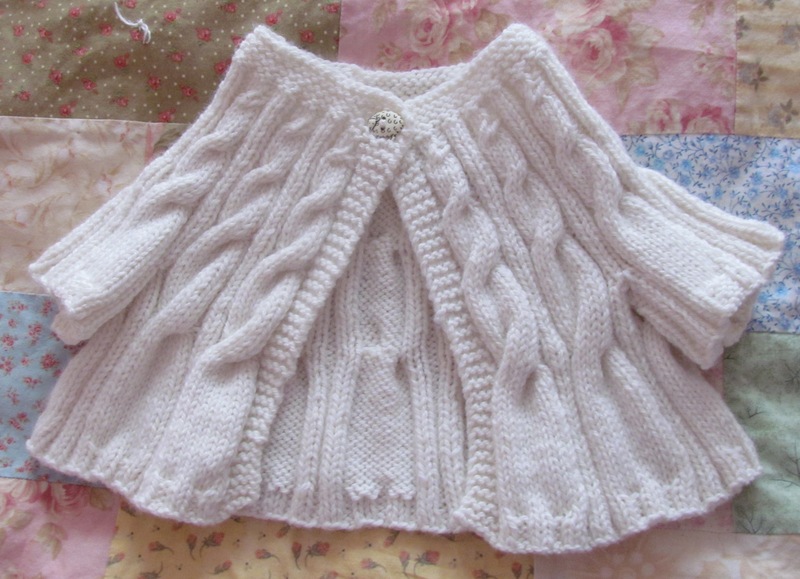 For the “every time I turn around someone has a baby” box, which is running low at the moment, I also finished a “Mignon” baby sweater (pattern here); it looks a little odd in the proportions because it’s meant to be cropped. It was a pretty easy knit though I do so wish I could figure out how to do cables without a cable needle. There are other projects I started and put aside, like the gray Campside shawl that will probably be the death of me, not because it is hard but because I can’t stand looking at it any more. Meanwhile, I’m thinking about what I want to knit next year. After a decade or so of knitting I’m finally feeling like I’ve finally become an “intermediate” knitter, and I’m looking at patterns that are a bit more challenging to knit. There’s also a purple sweater in a bag, just waiting for a second sleeve to be finished, and several socks that need mates. 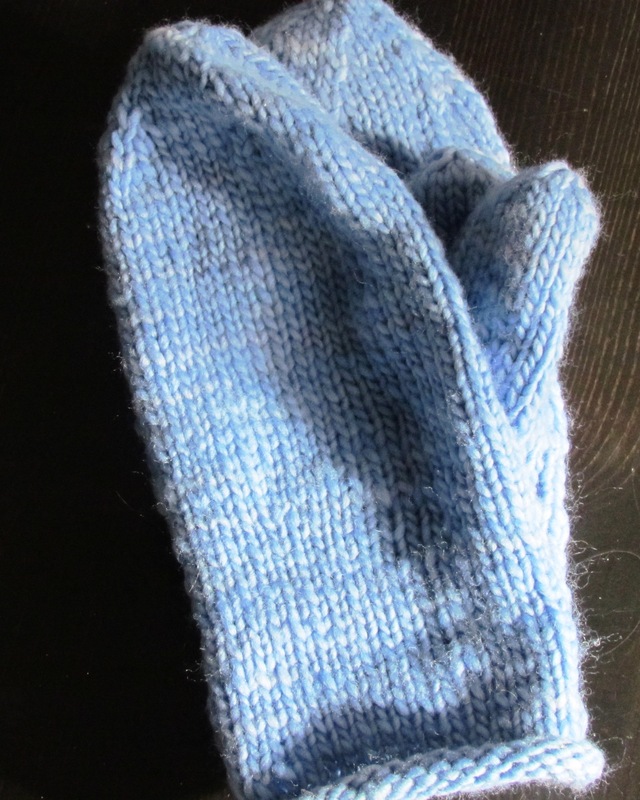 In the meantime, I think I need to whip up another pair of mittens just to be on the safe side. Here’s to happy knitting in 2015! 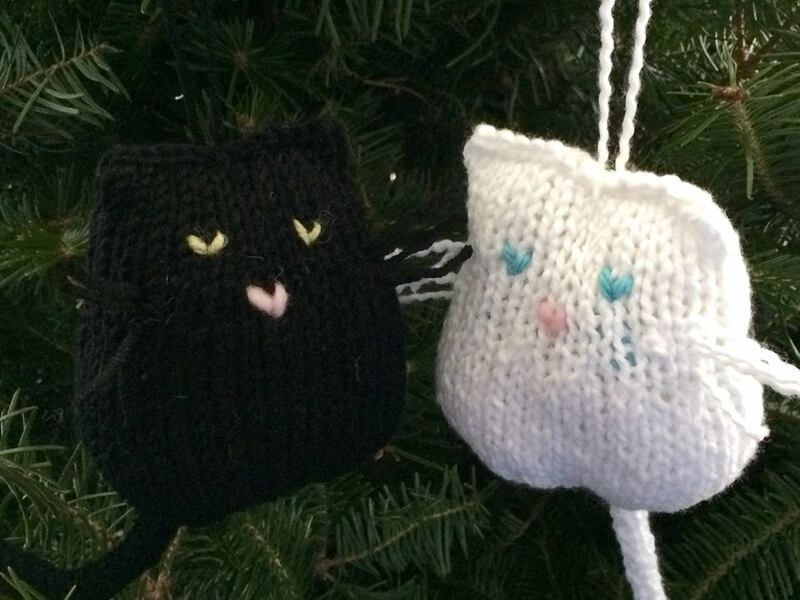 This entry was posted in Uncategorized and tagged Cat Lady, FO 2014, Knitting. Bookmark the permalink.